The Long Run Home. What's it all about? I live in Poole. That’s in Dorset. In July I’m running the long way home. The very long way. From Minehead in North Somerset all the way along the North Devon and Cornwall coast, around Lands End and back through South Cornwall, Devon and Dorset via the UK’s longest single coastal trail, the South West Coast Path. I’ve been fortunate enough to have travelled a bit with my sporting career and that of my much faster wife. We’ve been privileged to have run in some awesome and inspiring places all over the world. Mountains, rivers, forests and vista’s to admire for miles. Yet never have I felt more at home than when running along the South West Coast Path. It feels like my spiritual running home. It’s a coastal landscape with an ever changing feel and face. With one breath its beauty is startling. With another its harshness is stark. Its rugged and iconic cliff tops, hard edges, steep steps, windswept beaches and seductive coves. The history, heritage, geology and of the path is dramatic, exciting, and iconic. The question is not about why, rather it’s much more about why not? I’ve raced short, fast events, 1500m track style, long sufferfests like the Hawaii Ironman, Comrades, Powerman duathlons, European Championships and World Championships but this challenge is something else. It goes beyond that. Those elite sporting times were all about performance and eeking every valuable second out of my body. This is different. It’s going to be a tough test of physical endurance (after all it’s more marathons in 21 days than I’ve run in my entire life and twice as many miles each week for three weeks than I’ve ever covered in a single week before. That’s before we even start talking about the aggressive climbs and descents and the four times Everest and all that. La la la, not listening). But also, and perhaps much harder, it’s going to be an emotional stretch away from my family for three weeks. I’m blessed with three amazing children, Ruby aged 6 and Sonny and Beau, twin boys aged 2. Being away from them and their Mum is going to be harder than the daily physical slog. Running the path is only one layer of the journey of the Long Run Home. People who know me will know I do love a good natter. I also plan to connect conversations along the path and discover the people, places, lives and livelihoods as the adventure unfolds. The path sings endurance. The dramatic landscape and rocks that have stood the test of time and faced the onslaught of the battering seas and winds, the harsh tales of secret smuggling, fallen industry, headlands and sea defences, burials, churches and chapels that have stood the test of time. As an athlete it was all about me. I’d never fundraised (well, apart from that litter pick as an 11 year old). I’ve watched and supported thousands of fundraisers step outside of their comfort zones. It’s my time to step up. I spend time as a coach helping people to aspire to achieve more than they previously thought possible, to stretch boundaries, whether that is to run a marathon for the first time, in their fastest time, or achieve another endurance feat, and felt it was time I walked the talk again. I’m choosing to raise money on the Long Run Home for 3 important charities. Julia’s House in Poole is a home for children with life-limiting illnesses and their families to receive rest, care, love and support. My wife is a patron. It’s a place of peace but also of pain. Over the last couple of years we’ve faced a few cancer scares in our family (hasn’t everyone) and Macmillan provide much needed support to cancer sufferers. The Frenchay Hospital in Bristol is part of the Southmead Hospital Charity and a couple of years ago my Mum experienced a life threatening brain haemorrhage. Frenchay saved her life. The least I can do is go for a run to say thanks. It’s easy to settle back into a climate of comfort and not ask tricky questions of yourself. The Long Run Home is going to be an epic adventure that I’m not quite ready for as a recent coast path marathon showed when I couldn’t walk the day after let alone run another 30 miles the day after, and the day after, and the day after. Repeat. I’d love your help and there are different ways to get involved. Come and run a stage, sponsor me (that would be really lovely! ), if you’re a brand, company or organisation sponsor a stage (100% of sponsorship goes to charity) or come and join me for the final stage (even the final 2 mile walk!) from Studland to South Haven Point for the beach party. Sign up here. Living in the beautiful North Devon myself and loving running as I do. It would be amazing to run part of your “long run home” with you. I have listened to you and your wife giving expert advice before running the London Marathon in 2014 and again this year. I would be happy to try to raise some funds with the help of my local running club if at all possible. That would be lovely Pauline! North Devon – what a wonderful place! All the stage details will be out soon!  Would love to help – will definitely sponsor you, would love to run with you too – do you have your detailed schedule yet? The very best of luck. I agree wholeheartedly with the fantastic area we live in and would be happy to sponsor and support this mammoth effort by you, for your chosen charities. It is going to be an epic journey Martin! Wish I could join you.